Not to be confused with Group of Eight. This article is about the group of seven major advanced nations. For other uses, see Group of Seven (disambiguation). "G7" redirects here. For other uses, see G7 (disambiguation). The concept of a forum for the world's major industrialized countries emerged before the 1973 oil crisis. On Sunday, 25 March 1973, the U.S. Secretary of the Treasury, George Shultz, convened an informal gathering of finance ministers from West Germany Helmut Schmidt, France Valéry Giscard d'Estaing, and the United Kingdom Anthony Barber before an upcoming meeting in Washington, D.C. When running the idea past President Nixon, he noted that he would be out of town and offered use of the White House. The meeting was subsequently held in the library on the ground floor. Taking their name from the setting, this original group of four became known as the "Library Group". In mid-1973, at the World Bank-IMF meetings, Shultz proposed the addition of Japan to the original four nations, who agreed. The informal gathering of senior financial officials from the United States, the United Kingdom, West Germany, Japan, and France became known as the "Group of Five". Then, in 1974, President Pompidou of France died and his immediate successor refused to run in the special election, making three changes of heads of state in France in one year. Chancellor Brandt of West Germany was forced to resign in a scandal, and his successor lasted only nine days making three changes in West Germany as well. Plus Then President Nixon of the United States and Prime Minister Tanaka of Japan were forced to resign in disgrace. Queen Elizabeth II was forced to broker a deal to form a government after a hung election, which was so unstable that another election the same year had to take place, and finally, the traditionally unstable government of 1st Italian Republic changed Prime Ministers yet again. American President Gerald Ford, who had been a mere Congressman a year before, asked some other new heads of state/government to hold a retreat the following year to get to know one another. So, in 1975, a summit hosted by France brought together representatives of six governments: France, West Germany, Italy, Japan, the United Kingdom, and the United States. Schmidt and Giscard d'Estaing were heads of government in their respective countries, and since they both spoke fluent English, it occurred to them that they, and British Prime Minister Harold Wilson and U.S. President Gerald Ford could get together in an informal retreat and discuss election results and the issues of the day. In late spring, d'Estaing of France invited the heads of government from West Germany, Italy, Japan, the United Kingdom, and the United States to a summit in Château de Rambouillet; the annual meeting of the six leaders was organized under a rotating presidency, forming the Group of Six (G6). In 1976, with Wilson out as prime minister of Britain, Schmidt and Gerald Ford felt an English speaker with more experience was needed, so Pierre Trudeau, the Prime Minister of Canada, the next largest advanced economy after the first six, was invited to join the group and the group became the Group of Seven (G7). Since first invited by the United Kingdom in 1977 the European Union has been represented by the president of the European Commission, and the leader of the country that holds the presidency of the Council of the European Union and the Council President now also regularly attends. Until the 1985 Plaza Accord no one outside a tight official circle knew when the seven finance ministers met and what they agreed. The summit was announced the day before and a communiqué was issued afterwards. Following 1994's G7 summit in Naples, Russian officials held separate meetings with leaders of the G7 after the group's summits. This informal arrangement was dubbed the Political 8 (P8) – or, colloquially, the G7+1. At the invitation of Prime Minister of the United Kingdom Tony Blair and President of the United States Bill Clinton, Russian President Boris Yeltsin was invited first as a guest observer, later as a full participant. After the 1997 meeting Russia was formally invited to the next meeting and formally joined the group in 1998, resulting in a new governmental political forum, the Group of Eight or G8. The Russian Federation, in fact, had and has limited net national wealth and financial weight compared to the other members of the G8. Russia also has never been a major advanced economy according to the IMF. However, the Russian Federation was ejected from the G8 political forum in March 2014 following the Russian annexation of Crimea. The organization was founded to facilitate shared macroeconomic initiatives by its members in response to the collapse of the exchange rate 1971, during the time of the Nixon shock, the 1970s energy crisis and the ensuing recession. Since 1975, the group meets annually on summit site to discuss economic policies; since 1987, the G7 Finance Ministers have met at least semi-annually, up to 4 times a year at stand-alone meetings. In 1996, the G7 launched an initiative for the 42 heavily indebted poor countries (HIPC). In 1997, the G7 provided $300 million dollars to the effort to build the containment of the reactor meltdown at Chernobyl. 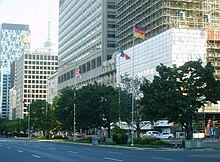 In 1999, the G7 decided to get more directly involved in "managing the international monetary system" through the Financial Stability Forum, formed earlier in 1999 and the G-20, established following the summit, to "promote dialogue between major industrial and emerging market countries". The G7 also announced their plan to cancel 90% of bilateral, and multilateral debt for the HIPC, totaling $100 billion. In 2005 the G7 announced debt reductions of "up to 100%" to be negotiated on a "case by case" basis. In 2008 the G7 met twice in Washington, D.C. to discuss the global financial crisis of 2007–2008 and in February 2009 in Rome. The group of finance ministers pledged to take "all necessary steps" to stem the crisis. On 2 March 2014, the G7 condemned the "Russian Federation's violation of the sovereignty and territorial integrity of Ukraine." The G7 stated "that the International Monetary Fund (IMF) remains the institution best prepared to help Ukraine address its immediate economic challenges through policy advice and financing, conditioned on needed reforms", and that the G7 was "committed to mobilize rapid technical assistance to support Ukraine in addressing its macroeconomic, regulatory and anti-corruption challenges." On 24 March 2014, the G7 convened an emergency meeting in response to the Russian Federation's annexation of Crimea at the official residence of the Prime Minister of the Netherlands, the Catshuis in The Hague. This location was chosen because all G7 leaders were already present to attend the 2014 Nuclear Security Summit hosted by the Netherlands. This was the first G7 meeting neither taking place in a member nation nor having the host leader participating in the meeting. On 4 June 2014 leaders at the G7 summit in Brussels, condemned Moscow for its "continuing violation" of Ukraine's sovereignty, in their joint statement and stated they were prepared to impose further sanctions on Russia. This meeting was the first since Russia was expelled from the G8 following its annexation of Crimea in March. The annual G7 leaders summit is attended by the heads of government. The member country holding the G7 presidency is responsible for organizing and hosting the year's summit. The serial annual summits can be parsed chronologically in arguably distinct ways, including as the sequence of host countries for the summits has recurred over time and series. Generally every country hosts the summit once every 7 years. Italy Francesco Cossiga Venice, Veneto Prime Minister Ōhira died in office on 12 June; Foreign Minister Saburō Ōkita led the delegation that represented Japan. France Jacques Chirac Lyon, Rhône-Alpes International organizations' debut to G7 Summits periodically. The invited ones here were: United Nations, World Bank, International Monetary Fund and the World Trade Organization. Japan Yoshirō Mori Nago, Okinawa  Formation of the G8+5 starts, when South Africa was invited. Until the 38th G8 summit in 2012, it has been invited to the Summit annually without interruption. Also, with permission from a G8 leader, other nations were invited to the Summit on a periodical basis for the first time. Nigeria, Algeria and Senegal accepted their invitations here. The World Health Organization was also invited for the first time. Italy Silvio Berlusconi Genoa, Liguria  Leaders from Bangladesh, Mali and El Salvador accepted their invitations here. Demonstrator Carlo Giuliani is shot and killed by the Carabinieri during a violent demonstration. One of the largest and most violent anti-globalization movement protests occurred for the 27th G8 summit. Following those events and the September 11 attacks two months later in 2001, the G8 have met at more remote locations. Canada Jean Chrétien Kananaskis, Alberta  Russia gains permission to officially host a G8 Summit. France Jacques Chirac Évian-les-Bains, Rhône-Alpes The G8+5 was unofficially made, when China, India, Brazil, and Mexico were invited to this Summit for the first time. South Africa has joined the G8 Summit, since 2000, until the 2012 edition. Other first-time nations that were invited by the French president included: Egypt, Morocco, Saudi Arabia, Malaysia and Switzerland. United States George W. Bush Sea Island, Georgia  A record number of leaders from 12 different nations accepted their invitations here. Amongst a couple of veteran nations, the others were: Ghana, Afghanistan, Bahrain, Iraq, Jordan, Turkey, Yemen and Uganda. Also, the state funeral of former President Ronald Reagan took place in Washington during the summit. United Kingdom Tony Blair Gleneagles, Scotland  The G8+5 was officially formed. On the second day of the meeting, suicide bombers killed 52 people on the London Underground and a bus. Nations that were invited for the first time were Ethiopia and Tanzania. The African Union and the International Energy Agency made their debut here. During the 31st G8 summit in United Kingdom, 225,000 people took to the streets of Edinburgh as part of the Make Poverty History campaign calling for Trade Justice, Debt Relief and Better Aid. Numerous other demonstrations also took place challenging the legitimacy of the G8. Russia (only G8 member, not G7) Vladimir Putin Strelna, Saint Petersburg First G8 Summit on Russian Federation soil. Also, the International Atomic Energy Agency and UNESCO made their debut here. Germany Angela Merkel Heiligendamm, Mecklenburg-Vorpommern Seven different international organizations accepted their invitations to this Summit. The Organisation for Economic Co-operation and Development and the Commonwealth of Independent States made their debut here. Japan Yasuo Fukuda Tōyako, Hokkaidō  Nations that accepted their G8 Summit invitations for the first time are: Australia, Indonesia and South Korea. L'Aquila, Abruzzo (re-located)  This G8 Summit was originally planned to be in La Maddalena (Sardinia), but was moved to L'Aquila as a way of showing Prime Minister Berlusconi's desire to help the region after the 2009 L'Aquila earthquake. Nations that accepted their invitations for the first time were: Angola, Denmark, Netherlands and Spain. A record of ten international organizations were represented in this G8 Summit. For the first time, the Food and Agriculture Organization, the International Fund for Agricultural Development, the World Food Programme, and the International Labour Organization accepted their invitations. Canada Stephen Harper Huntsville, Ontario  Malawi, Colombia, Haiti, and Jamaica accepted their invitations for the first time. France Nicolas Sarkozy Deauville, Lower Normandy Guinea, Niger, Côte d'Ivoire and Tunisia accepted their invitations for the first time. Also, the League of Arab States made its debut to the meeting. Camp David, Maryland (re-located) The summit was originally planned for Chicago, along with the NATO summit, but it was announced officially on 5 March 2012, that the G8 summit will be held at the more private location of Camp David and at one day earlier than previously scheduled. Also, this is the second G8 summit, in which one of the leaders, Vladimir Putin, declined to participate. This G8 summit concentrated on the core leaders only; no non-G8 leaders or international organizations were invited. United Kingdom David Cameron Lough Erne, County Fermanagh  As in 2012, only the core members of the G8 attended this meeting. The four main topics that were discussed here were trade, government transparency, tackling tax evasion, and the ongoing Syrian crisis. José Manuel Barroso Brussels, Belgium (re-located from Sochi, Russia) G7 summit as an alternative meeting without Russia in 2014 due to association with Crimean crisis. 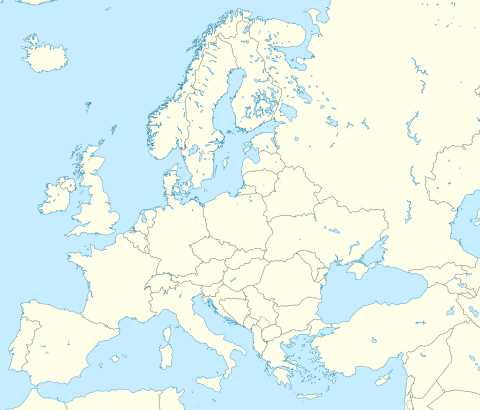 The 2014 G8 summit in Sochi was cancelled and re-located to Brussels, Belgium without Russia. Emergency meeting in March 2014 in The Hague. Germany Angela Merkel Schloss Elmau, Bavaria  Summit dedicated to focus on the global economy as well as on key issues regarding foreign, security and development policy. The Global Apollo Programme was also on the agenda. 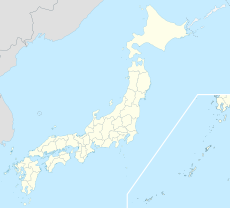 Japan Shinzō Abe Shima, Mie Prefecture  The G7 leaders aim to address challenges affecting the growth of the world economy, like slowdowns in emerging markets and drops in price of oil. The G7 also issued a warning on the United Kingdom that "a UK exit from the EU would reverse the trend towards greater global trade and investment, and the jobs they create and is a further serious risk to growth". Commitment to an EU–Japan Free Trade Agreement. Italy Paolo Gentiloni Taormina, Sicily  G7 leaders emphasized common endeavours: to end the Syrian crisis, to fulfill the UN mission in Libya and reducing the presence of ISIS, ISIL and Da'esh in Syria and Iraq. North Korea was urged to comply with UN resolutions, Russian responsibility was stressed for Ukrainian conflict. Supporting economic activity and ensuring price stability was demanded while inequalities in trade and gender were called to be challenged. It was agreed to help countries in creating conditions that address the drivers of migration: ending hunger, increasing competitiveness and advancing global health security. Canada Justin Trudeau La Malbaie, Quebec  It took place at the Manoir Richelieu. Prime Minister Trudeau announced five themes for Canada's G7 presidency which began in January 2018. Climate, along with commerce trades, was one of the main themes. “Working together on climate change, oceans and clean energy”  The G7 members' final statement contains 28 points. US President Donald Trump didn't agree to the economic section of the final statement. The G7 members also announced to recall sanctions and to be ready to take further restrictive measures against Russian Federation for the failure of Minsk Agreement's complete implementation. The G7 is composed of the seven wealthiest advanced countries. The People's Republic of China, according to its data, would be the second-largest with the 16.4% of the world net wealth, but is excluded because the IMF and other main global institutions do not consider China an advanced country and because of its relatively low net wealth per adult and HDI. As of 2017 Crédit Suisse reports the G7 (without the European Union) represents above 62% of the global net wealth. Including the EU the G7 represents over 70% of the global net wealth. 7 of the 7 top-ranked advanced economies with the current largest GDP and with the highest national wealth (United States, Japan, Germany, UK, France, Italy, Canada). 7 of the 15 top-ranked countries with the highest net wealth per capita (United States, France, Japan, United Kingdom, Italy, Canada, Germany). 7 of 10 top-ranked leading export countries. 5 of 10 top-ranked countries with the largest gold reserves (United States, Germany, Italy, France, Japan). 7 of 10 top-ranked economies (by nominal GDP), according to latest (2016 data) International Monetary Fund's statistics. 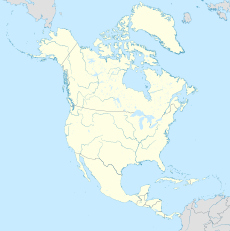 3 countries with a nominal GDP per capita above US$40,000 (United States, Canada, Germany). 4 countries with a sovereign wealth fund, administered by either a national or a state/provincial government (United States, France, Canada, Italy). 7 of 30 top-ranked nations with large amounts of foreign-exchange reserves in their central banks. 3 out of 9 countries having nuclear weapons (France, UK, United States), plus 2 countries that have nuclear weapon sharing programs (Germany, Italy). 6 of the 9 largest nuclear energy producers (United States, France, Japan, Germany, Canada, UK), although Germany announced in 2011 that it will close all of its nuclear power plants by 2022. Following the 2011 Tōhoku earthquake and tsunami, Japan shut down all of its nuclear reactors. However, Japan restarted several nuclear reactors, with the refueling of other reactors underway. 7 of the 10 top donors to the UN budget for the 2016 annual fiscal year. 6 countries with a HDI index for 2017 of 0.9 and higher (United States, Germany, United Kingdom, Canada, Japan, France). 3 countries are constitutional monarchies (United Kingdom, Canada, Japan), 2 are presidential republics (France, United States) and the other 2 are parliamentary republics (Germany and Italy). One country (Canada) has legalized cannabis consumption at the federal level, which took effect on October 17, 2018. Canada is the first G7 country to do so. In March 2014 Russian Federation was suspended by G7 members from the political forum G8 following the annexation of Crimea. After the suspension, on January 2017 Russian Federation decided permanently to leave the G8. It was confirmed in June 2018. In 2015, despite Germany's immense efforts to prevent it and despite the remote location of the summit, the luxury hotel Schloss Elmau at the foot of the Wetterstein mountains at an altitude of 1,008 m (3,307 ft) above sea level, about 300 of the 7500 protesters led by the group 'Stop-G7' managed to reach the 3 m high and 7 km long security fence surrounding the summit location. The protesters questioned the legitimacy of the G7 to make decisions that could affect the whole world. Authorities had banned demonstrations in the closer area of the summit location and 20,000 policemen were on duty in Southern Bavaria to keep activists and protesters from interfering with the summit. The 2018 meeting in Charlevoix, Canada, was marred by fractious negotiations concerning tariffs and Donald Trump's unorthodox position that Russia should be reinstated to the political forum G8, despite its limited national wealth and its lack of an advanced economy according to the IMF. The Trump administration had just imposed steel and aluminum tariffs on many countries, including European countries that are fellow members of the G7, and Canada, the host country for the 2018 meeting. Trump arrived late, left the meeting early, expressed dismay at Canadian Prime Minister Trudeau for holding a press conference in which Canada restated its position on tariffs (a public criticism of Trump's economic policy), and directed his representatives at the meeting to not sign the economic section of the joint communique that is typically issued at the conclusion of the meeting. An opinion writer at the Washington Post, Max Boot, opined that Trump had turned the meeting into a confrontation between the "G-6 versus the G-1." and economist Paul Krugman suggested that it probably had more to do with whatever hold Putin has over Trump personally. German Chancellor Angela Merkel described Trump's behavior as a "depressing withdrawal," while French President Emmanuel Macron invited him "to be serious." In the final statement signed by all members except the US, G7 announced its intention to recall sanctions and to be ready to take further restrictive measures within the next months against the Russian Federation for its failure to completely implement the Minsk Agreement. ^ "World Economic Outlook Database". International Monetary Fund. imf.org. October 2017. "Major Advanced Economies (G7)". ^ a b Shultz, George P. (1993). Turmoil and Triumph: My Years as Secretary of State. p. 148. ISBN 0-684-19325-6. ^ Bayne, Nicholas; Putnam, Robert D. (2000). Hanging in There. Ashgate Pub Ltd. 230 pages. ISBN 075461185X. p. 20. ^ Farnsworth, Clyde H. (8 May 1977). "A Secret Society of Finance Ministers," New York Times. ^ a b c "Evian summit – Questions about the G8". Ministère des Affaires étrangères, Paris. Archived from the original on 20 April 2011. Retrieved 18 March 2011. ^ The Canadian Encyclopedia - Canada and the G8 G8: The Most Exclusive Club in the World, Thomas S. Axworthy, The Canadian Encyclopedia, Historica Foundation of Canada, Toronto, Undated. Retrieved 23 July 2015. ^ "EU and the G8". European Union. Archived from the original on 26 December 2007. Retrieved 17 July 2006. ^ Schaefer, Robert K (2005). "Dollar Devaluations". Understanding Globalization: The Social Consequences of Political, Economic, and Environmental Change. Rowman and Littlefield. p. 346. ^ a b c "Select Country or Country Groups". www.imf.org. ^ Smale, Alison; Shear, Michael D. (24 March 2014). "Russia Is Ousted From Group of 8 by U.S. and Allies". The New York Times. ISSN 0362-4331. Retrieved 13 October 2017. ^ "G7/8 Ministerial Meetings and Documents". G8 Information Centre. University of Toronto. 2014. Retrieved 14 March 2014. ^ International Money Fund. "Debt Relief Under the Heavily Indebted Poor Countries (HIPC) Initiative;Perspectives on the Current Framework and Options for Change". IMF.org. Retrieved 25 March 2014. ^ "The True Cost of the Chernobyl Disaster Has Been Greater Than It Seems". TIME. 26 April 2018. Retrieved 22 February 2019. ^ Van Houtven, Leo (September 2004). "Rethinking IMF Governance" (PDF). Finance & Development. International Money Fund. p. 18. Retrieved 25 March 2014. ^ "G7 backs Africa debt relief plan". 5 February 2005 – via news.bbc.co.uk. ^ Bo Nielsen (14 April 2008). "G7 Statement Fails to Convince Major Traders to Change Outlook". Bloomberg L.P.
^ Simon Kennedy (10 October 2008). "G7 Against the Wall- Weighs Loan-Guarantee Plan (Update1)". Bloomberg L.P.
^ O'Grady, Sean (11 October 2008). "G7 pledges action to save banks". The Independent. Retrieved 7 June 2017. ^ a b "Statement by G7 Nations". G8 Info Ctr. University of Toronto. 2 March 2014. Retrieved 10 March 2014. ^ "G7 leaders descend on the Netherlands for Ukraine crisis talks". CBC news. Thomson Reuters. 23 March 2014. ^ a b BBC (5 June 2014). "G7 leaders warn Russia of fresh sanctions over Ukraine". BBC. ^ Feldman, Adam (7 July 2008). "What's Wrong with the G-8". Forbes. New York. ^ G7 Italy 2017, official website. ^ "Halifax G7 Summit 1995". Chebucto.ns.ca. 28 May 2000. Retrieved 27 June 2010. ^ a b c d e f g h i Kirton, John. "A Summit of Substantial Success: The Performance of the 2008 G8"; page 88 and 89 G8 Information Centre – University of Toronto 17 July 2008. ^ "Denver Summit of the Eight". State.gov. Retrieved 8 February 2010. ^ "1998: Britain Welcomes the Summit of World Leaders". United Kingdom. gov.uk. 12 December 1998. Archived from the original on 12 December 1998. Retrieved 21 May 2011. ^ "1999 G8 summit documents". Archived from the original on 26 February 2005. Retrieved 27 June 2010. ^ "Kyushu-Okinawa Summit". MOFA. Retrieved 8 February 2010. ^ "Vertice di Genova 2001". Archived from the original on 6 August 2001. Retrieved 8 February 2010. ^ "UT G8 Info. Centre. Kananaskis Summit 2002. Summit Contents". G8.utoronto.ca. Retrieved 8 February 2010. ^ "Sea Island Summit 2004". Georgewbush-whitehouse.archives.gov. Retrieved 8 February 2010. ^ "Special Reports | G8_Gleneagles". BBC News. 17 September 2008. Retrieved 8 February 2010. ^ David Miller "Spinning the G8" Archived 28 May 2009 at the Wayback Machine, Zednet, 13 May 2005. ^ "Hokkaido Toyako Summit – TOP". Mofa.go.jp. Retrieved 8 February 2010. ^ "BERLUSCONI PROPOSES RELOCATION OF G8 SUMMIT TO L'AQUILA". Running in heels. 24 April 2009. Archived from the original on 8 August 2016. Retrieved 12 June 2016. ^ "G8 Online Survey Results". Summit 2009: G8 From La Maddalena to L'Aquila. g8italia2009.it. Archived from the original on 26 August 2009. ^ "G8 Summit 2009 – official website – Other Countries". G8italia2009.it. Archived from the original on 6 April 2010. Retrieved 8 February 2010. ^ "G8 Summit 2009 – official website – International Organizations". G8italia2009.it. Archived from the original on 6 April 2010. Retrieved 8 February 2010. ^ "Canada's G8 Plans" (PDF). Retrieved 27 June 2010. ^ "Prime Minister of Canada: Prime Minister announces Canada to host 2010 G8 Summit in Huntsville". Pm.gc.ca. Archived from the original on 8 February 2010. Retrieved 8 February 2010. ^ "2010 Muskoka Summit". Canadainternational.gc.ca. Archived from the original on 10 April 2011. Retrieved 21 May 2011. ^ Participants at the 2010 Muskoka Summit. G8 Information Centre. Retrieved 29 June 2010. ^ "Le prochain G20 aura lieu à Cannes," Le point. 12 November 2010. ^ Kirton, John (26 May 2011). "Prospects for the 2011 G8 Deauville Summit". G8 Information Centre. Retrieved 27 May 2011. ^ "2012 G8 Summit Relocation". G8.utoronto.ca. Retrieved 26 March 2013. ^ "White House Moves G8 Summit From Chicago To Camp David". CBS Chicago. 5 March 2012. Retrieved 5 March 2012. ^ "BBC News – Lough Erne resort in Fermanagh to host G8 summit". BBC News. Bbc.co.uk. 20 November 2012. Retrieved 26 March 2013. ^ "UK Presidency of G8 2013". United Kingdom. gov.uk. Retrieved 9 June 2018. ^ "As it happened: G8 summit". BBC News. Retrieved 18 June 2013. ^ "Germany to hold 2015 G8 summit at Alpine spa - The Washington Post". 23 January 2014. Archived from the original on 23 January 2014. ^ "German G7 presidency – Key topics for the summit announced". 19 November 2014. ^ "Japan announced to host G7 summit in 2016 in Shima". prepsure.com. 23 June 2015. Retrieved 27 June 2015. ^ "Japan Announces Dates for G7 Summit in 2016". NDTV. 23 June 2015. Retrieved 27 June 2015. ^ "来年のサミット 三重県志摩市で開催へ (Next Year's Summit To Be Held in Shima City, Mie Prefecture)" (in Japanese). 5 June 2015. Archived from the original on 5 June 2015. Retrieved 5 June 2015. ^ Asthana, Anushka (27 May 2016). "Brexit would pose 'serious risk' to global growth, say G7 leaders". The Guardian. Retrieved 28 May 2016. ^ "Renzi announces to host G7 summit in 2017 in Taormina". RaiNews24. 26 May 2016. Retrieved 27 May 2016. ^ Redazione (1 April 2016). "G7 a Taormina, è ufficiale. Renzi chiama da Boston il sindaco Giardina: "Il vertice si farà nella Perla"". ^ "G7 Taormina Leaders' Communiqué" (PDF). G7 Italy 2017. 27 May 2017. Retrieved 11 June 2017. ^ "Canada to host 2018 G7 Summit in Charlevoix, Quebec". pm.gc.ca. Prime Minister of Canada. 27 May 2017. Retrieved 27 May 2017. ^ Walker, Tony R.; Xanthos, Dirk (2018). "A call for Canada to move toward zero plastic waste by reducing and recycling single-use plastics". Resources, Conservation and Recycling. 133: 99–100. doi:10.1016/j.resconrec.2018.02.014. ^ "Sommet du G7 : Trump retire son soutien au communiqué commun sur le commerce". Le Monde.fr. 9 June 2018. ^ a b Editorial, Reuters (9 June 2018). "The Charlevoix G7 Summit Communique". Reuters. ^ a b "G7 Summit in Brussels, 4 – 5 June 2014: Background note and facts about the EU's role and action". 3 June 2014. Retrieved 2 April 2015. ^ "Come funziona il G7? - g7". www.g7italy.it. ^ a b "Van Rompuy and Barroso to both represent EU at G20". EUobserver.com. 19 March 2010. Retrieved 21 October 2012. "The permanent president of the EU Council, former Belgian premier Herman Van Rompuy, also represents the bloc abroad in foreign policy and security matters...in other areas, such as climate change, President Barroso will speak on behalf of the 27-member club." ^ a b c d "Gross domestic product". IMF World Economic Outlook. October 2015. Retrieved 14 October 2015. ^ "World Economic Outlook data". IMF. 2014. Retrieved 19 October 2014. ^ "Global Wealth Databook". Credit Suisse. credit-suisse.com. 2017. ^ "Global Wealth Databook". Credit Suisse. credit-suisse.com. 2017. Table 2-4, "Wealth Estimates by Country (mid-2017)”, p. 101-104. See values of “Share of Wealth, %” for G7 countries: Canada, 2.6; France, 4.6; Germany, 4.9; Italy, 3.9; Japan, 8.4; United Kingdom, 5.0; and United States, 33.4 (total: 62.8%). Retrieved 8 June 2018. ^ Crédit Suisse publication 2. ^ "Sovereign Wealth Fund Rankings". SWF Institute. Retrieved 16 February 2012. ^ "Status of Nuclear Forces". Federation of American Scientists. 26 March 2012. Retrieved 26 March 2012. ^ "Which countries have nuclear weapons?". BBC News. 26 March 2012. Retrieved 26 March 2012. ^ "Der Spiegel: ''Foreign Minister Wants US Nukes out of Germany'". Der Spiegel. 10 April 2009. Retrieved 10 April 2014. ^ "Germany: Nuclear power plants to close by 2022". BBC. 30 May 2011. Retrieved 12 August 2011. ^ "Tomari shutdown leaves Japan without nuclear power". BBC News. 5 May 2012. Retrieved 5 May 2012. ^ "11 countries with perfect credit". USA Today. 16 October 2013. Retrieved 10 April 2014. ^ Montreal, Selena Ross in (6 June 2018). "All eyes on Canada as first G7 nation prepares to make marijuana legal". the Guardian. Retrieved 10 July 2018. ^ "U.S., other powers kick Russia out of G8". CNN.com. 24 March 2014. Retrieved 25 March 2014. ^ "Russia just quit the G8 for good". ^ "Der Spiegel: Proteste um Schloss Elmau – Demonstranten wandern bis zum G7-Zaun". Der Spiegel. 7 June 2015. Retrieved 11 June 2015. ^ "Bild: 7 Kilometer lang, 3 Meter hoch, auf ganzer Länge beleuchtet". Bild. 3 June 2015. Retrieved 11 June 2015. ^ Boot, Max (10 June 2018). "Trump turns the G-7 into the G-6 vs. G-1". The Washington Post. Retrieved 11 June 2018. ^ Krugman, Paul (9 June 2018). "Opinion - Debacle in Quebec". The New York Times. ^ "G7, Trump non accetta il documento finale. Merkel: "Ritiro deprimente" - Sky TG24" (in Italian). Wikimedia Commons has media related to Group of Seven.